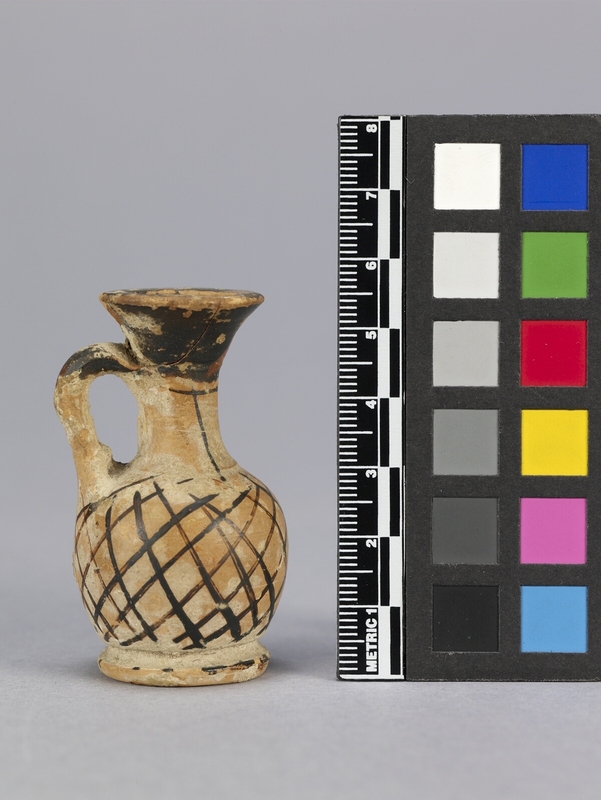 Item number Ce345 from the MOA: University of British Columbia. 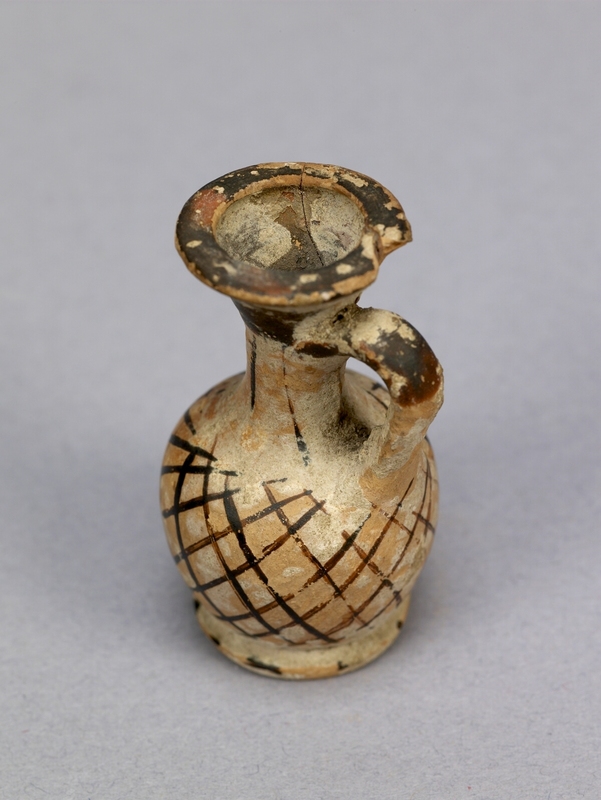 Small squat lekythos with a flaring mouth, a neck that flares into a rounded shoulder and base, a short foot, and a handle that extends from the base of the mouth to the shoulder. Painted with a dark brown geometric criss-cross design on the body and solid dark brown around the mouth as well as on the top of the handle.